Opts P.I.D. 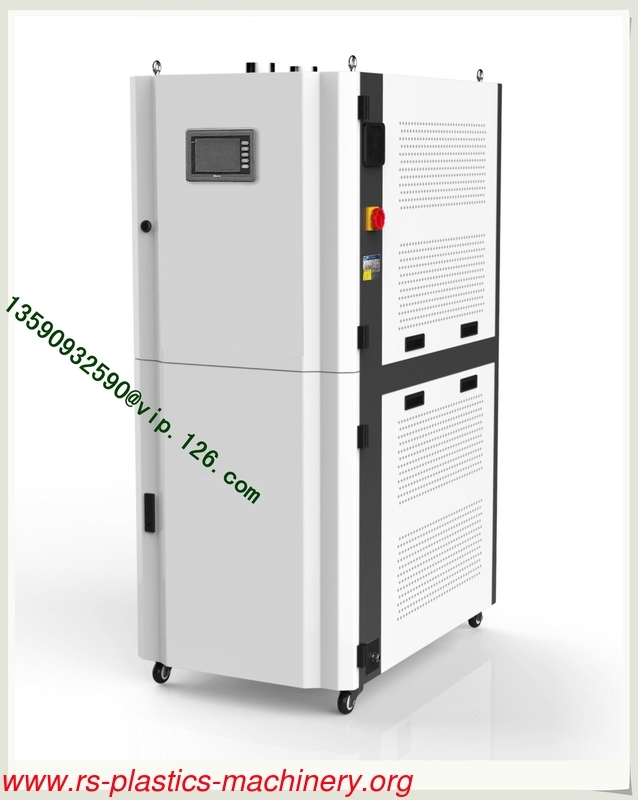 temperature control system; can set regenerative temp, and have display screen of actual temp. Honeycomb rotor is used to ensure steady air dehumidifying effect with main power switch, it ensures safety of operation and maintenance. Motor overload and phase reverse alarm functions are provided. Return air cooling and filtering are provided. Under normal atmospheric conditions, the air humidity can be controlled precisely all year round. 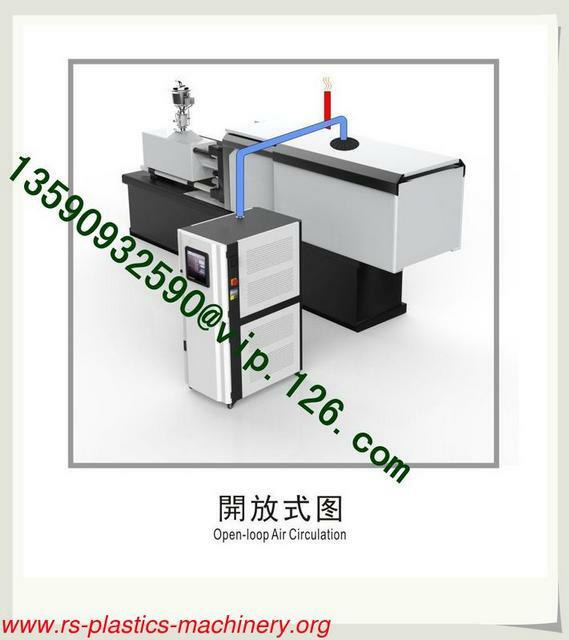 Prolong service life of mold, reduce corrosion, and yet reduce product flaws and defective product rate. Air temperature generated by this series of machine is about 30°C, which ensures no moisture condensation on view window of the molding machine by making the ambient temp, not too low. Dismountable return air collector is optional. It can realize application of closed cycle and especially suitable for areas of high humidity. LCD touch screen is optional. 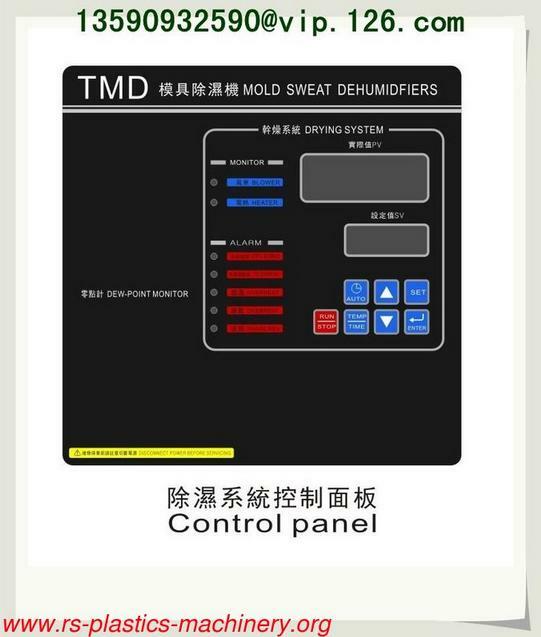 TMD series mould sweat dehumidifiers are designed to remove the moisture sweat from condensing on the mould surface. 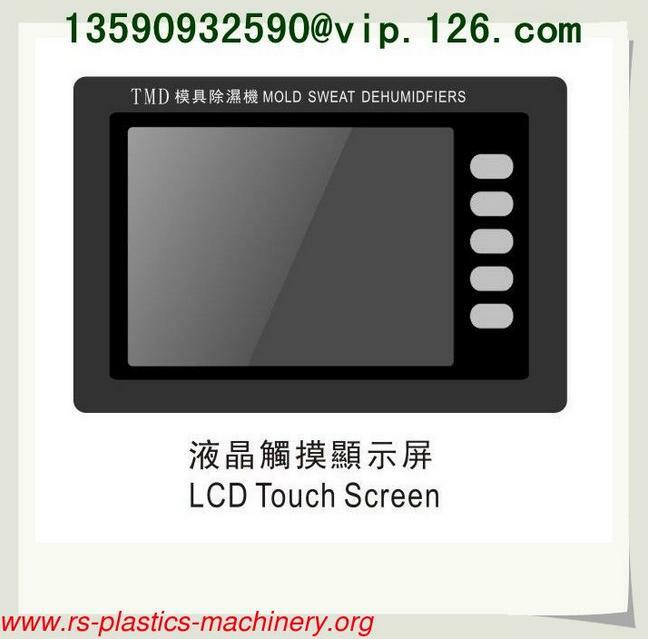 Forming of moisture sweat on the mould surface is due to the use of chilled water for reducing the molding cycle time, particularly while molding of the PET pre-forms. This series of machine uses honeycomb rotor to carry out dehumidifying function, which generates a dry airflow with dew point ranging from +5°c to -10°c, and ensures the surrounding air of mould remaining in a low dew-point temperature, It provides constant low dew-point surrounding air to the mould surface all year round without being influenced by the change of seasons. 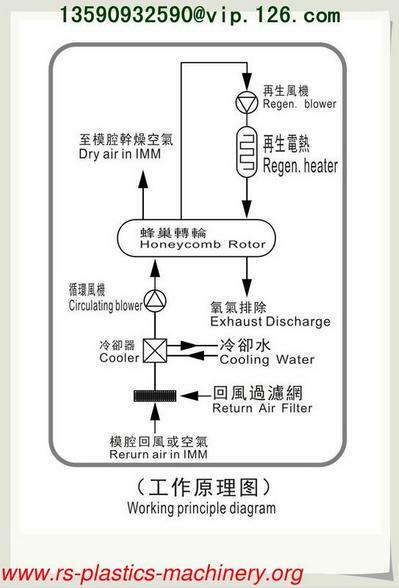 The large amount of air created by centrifugal blower will directly blow to the models of I MM after being moisture absorbed by rotator honeycomb to form drying air with low dew-point. And then air discharges through air outlet of mold closing chamber and returns to mold sweat dehumidifier through return air pipe. In this way, a circle finished. The air around mould is very dry with dew-point less than or equal to 5°C, Environmental temperature drops fast during the mould rapid-cooling, but temp, would not fall to 5°C. 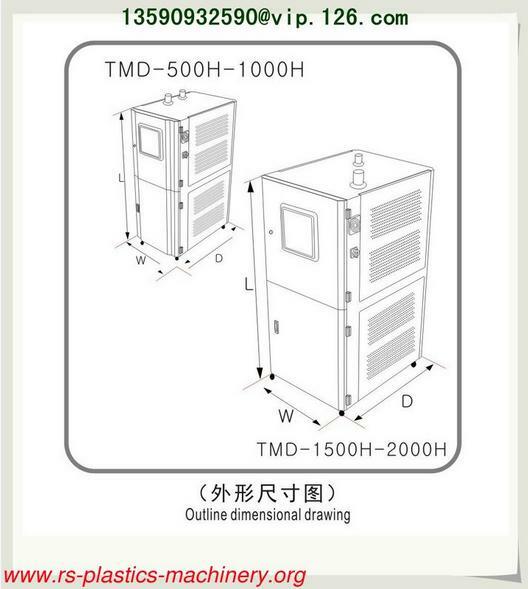 Therefore, dewdrop would not come into being during mould rapid-cooling, which ensures product quality.